Last week during an appearance on V-103, Katt Williams went in on morning host Wanda Smith of "Frank and Wanda in the Morning." But before he attacked her Katt called out Kevin Hart, Lil Rel, and Jarrold Carmichael. He then said Tiffany Haddish was undeserving of the attention she is gaining because of her lack of comedic talent. After his appearance on V-103 on Friday, Katt showed up at Wanda Smith's Saturday night show at the Atlanta Comedy Theater to support his comedic friend Red Grant. Also there was Wanda Smith’s husband. At some point in the evening, he allegedly pointed a gun at Katt Williams in retaliation for his comments on the morning radio show. 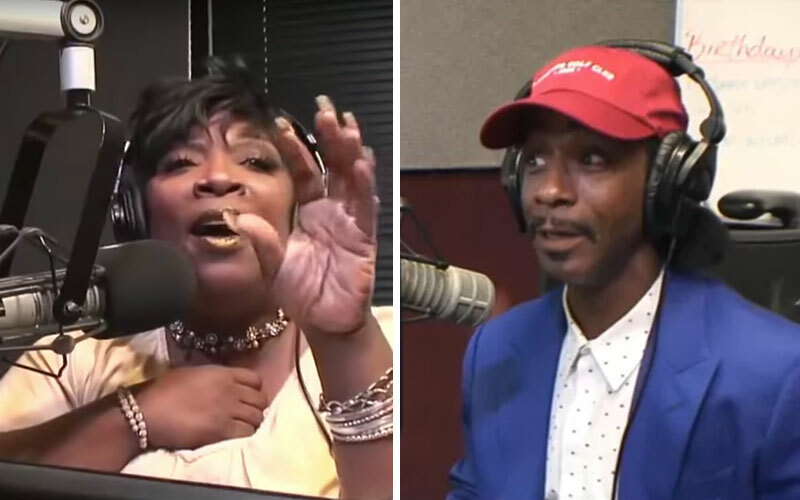 As reported by multiple local outlets, the comedian told Gwinnett County police Saturday night that Smith’s husband LaMorris Sellers aimed a gun at him outside of the theater in Norcross, GA. Smith said on her radio show on Monday that Williams said to her, “I told you 'messing’ with me will make you go viral!” This was the comment that upset Sellers, who allegedly then pointed the gun. On Monday, Frank and Wanda air out their feelings over the controversial Emmy-winning comedian’s visit, from how it all started, to the wild weekend of social media commentary, viral videos and tweets that followed.